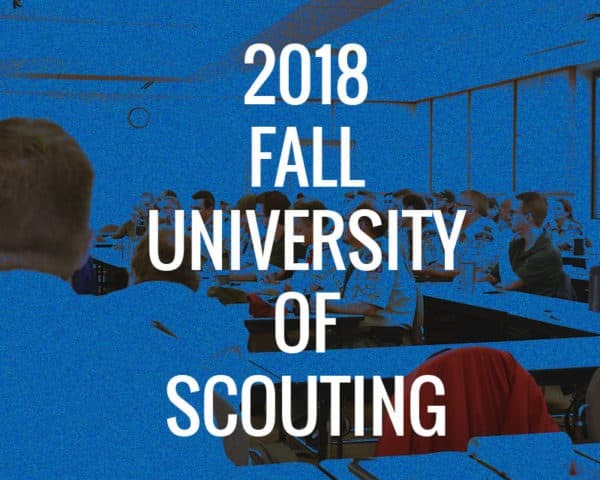 JOIN US FOR THE NEXT UNIVERSITY OF SCOUTING, OCTOBER 27TH, 2018! Save the date for the best day of Scout leader training around! The Northern Star Council’s University of Scouting is one of the LARGEST one day supplemental training programs available anywhere in the country. It will take place on Saturday, October 27, 2018 from 8:00 a.m. – 4:00 p.m, at Saint Paul College,. and includes lunch! The University of Scouting is a fun-filled, hands-on opportunity to network with other Scouters, and is truly a learning adventure. This one-day training event is designed for all Cub Scout, Boy Scout, Venturing and Sea Scout Leaders, and Boy Scout, Venturing and Sea Scout youth leaders regardless of experience. Choose from over 100 courses with an emphasis on programs, skills, and resources to deliver high quality opportunities to Scouting youth. New Leader and Position Specific training will also be offered. Make sure to tell your Scouts about the Youth Leadership College. This college provides leadership training courses for all Boy Scout, Venturing and Sea Scout aged youth in a variety of areas. From Running Great PLC’s to Troop and Crew Trek Planning your youth leaders are bound to find classes that fit their interests. In addition, a vendor midway will be available offering exciting program resources, materials, and ideas. SPECIAL OFFER! NEW CUB LEADERS ATTEND AT HALF PRICE WHEN REGISTERING BEFORE OCTOBER 15TH! If you have general questions, ideas for classes or are interested in teaching at the University of Scouting please contact the University of Scouting Chancellor at: uofscouting@gmail.com.